Shortlisted candidates will be contacted. Please send your letter before the closing date of November 10th, 2018. 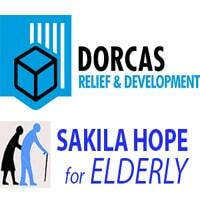 Sakila Hope for Elderly as an NGO which was registered in 2010. Its history goes back to 2004 when four close friends critically scrutinized the lives of some elderly people living in their area and decided to assist them because they were living in a very desperate situation without enough food, sugar, money for milk and tea leaves during the rainy of the year i.e. April, May and June which are customarized with food shortages and hiked commodity prices around the area. They were able to donate a small amount of money to purchase these items for few grannies. At the end of the second year they saw blessings from God and their financial needs were met, so they welcomed other people for the purpose of reaching a greater number of people who were experiencing food shortages during those months. Eight people became interested and their number of volunteers became 12 in total. A general survey around the area showed that many people required this type of assistance. This forced this group of about 12 volunteers (members) at that time to look into other ways of raising funds to meet ever increasing demands of the grannies. They agreed to sponsor a first group of 20 grannies who are living mainly in Sub-location of Nrumangeny in Sakila village. Since then, the number of sponsored grannies has increased annually and December 2011 we serve about 214 grannies from 11 villages in four wards of Kikatiti, Maroroni, King’ori and Maji ya Chai in King’ori division, Meru district.